Replies: 3 (Who? ), Viewed: 709 times. 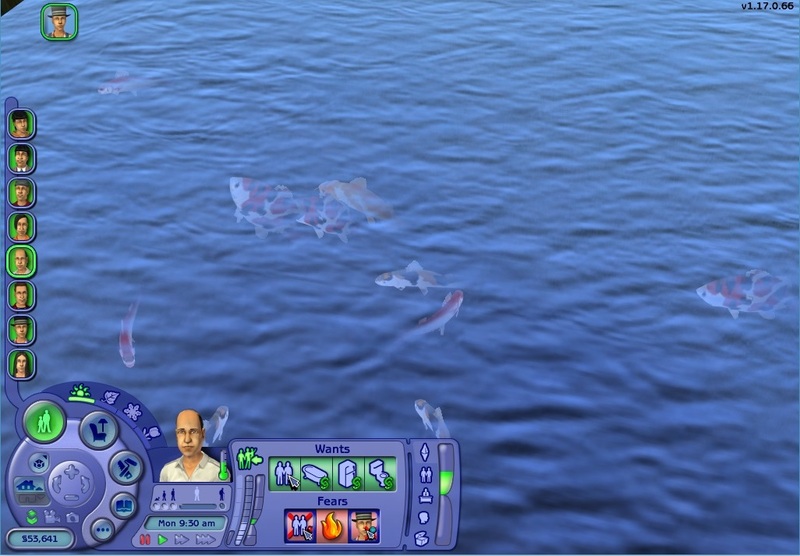 I want to recolor the default fish that appear in pond, it is very kind if someone can tell me the way. I don't think it's possible to recolor them, but you could try making a default replacement. You'd need to extract the TXTR and LIFO if there is one (possibly the TXMT too, if you want to change the settings) of the fish texture (You'd need to extract the actual resources, not just the PNG), put it in a new file, and change then replace the texture with your own. I dont know the way to make a replacement, so I did my recolor directly in the file of game >,< I think I will start to learn about the default replacement. I forgot to say, you need to use the DXT3 or DXT5 option (you need the Nvidia DDS plugin for this). The Import or DXT1 options give a worse result. You can make the texture bigger, but make sure you use the same format and in a proper size (64x64/128x128/256x256/512x512/1024x1024, or mixed sizes like 128x256) or the texture won't work. You should never edit the install files directly. You need to make a new file, or you may screw up your install files. Do "save as...", and save the file with a new name.